Care Providers of Minnesota presents a full-day SILVER Quality Award workshop to help you better understand the Silver Award application criteria, scoring, and strategies for a successful 2019 application submission. Workshop registration includes three follow-up virtual events. Workshop participants are eligible for a discounted consulting rate with Paul Grizzell, if additional coaching is desired. Over the past two years, 80% of attendees who attended a Care Providers of Minnesota’s quality award workshop and submitted a Silver Quality Award application were awarded the Silver Quality Award! The workshop is designed for key leaders to better understand how to accelerate their progress from the bronze level to the silver level of recognition. Suggested participants are administrators or executive directors and directors of nursing or directors of home care, along with other leadership team members—including owners. A team approach is the most effective method to develop your application in a manner that makes it your “management document,” and not just an award application. Care Providers of Minnesota is delighted to once again partner with Paul Grizzell, President of Core Values Partners, and Baldrige Coach, to present the Silver Award workshop (Paul was the facilitator at our very- successful bronze workshops in 2016, 2017, and 2018, and our equally- successful silver workshops in 2016 and 2017). Learn more about Paul and his organization in the event brochure. 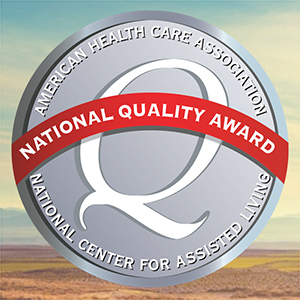 Who can apply for the 2019 AHCA/NCAL National Silver Quality Award? Please review the eligibility requirements on pages 4–5 of the 2019 Silver Criteria and Application document in the silver application packet to ensure you are eligible to apply. The 2019 AHCA/NCAL National Quality Award Program application packets are now available online, and the program calendar and submission checklist have been posted here. Learn more in the event brochure! While not focused on GOLD Quality Award applications, those interested in submitting GOLD Quality Award applications are welcome to attend.